If you’ve not been using Instagram to market your products or services, you need to get on it before the moment passes. 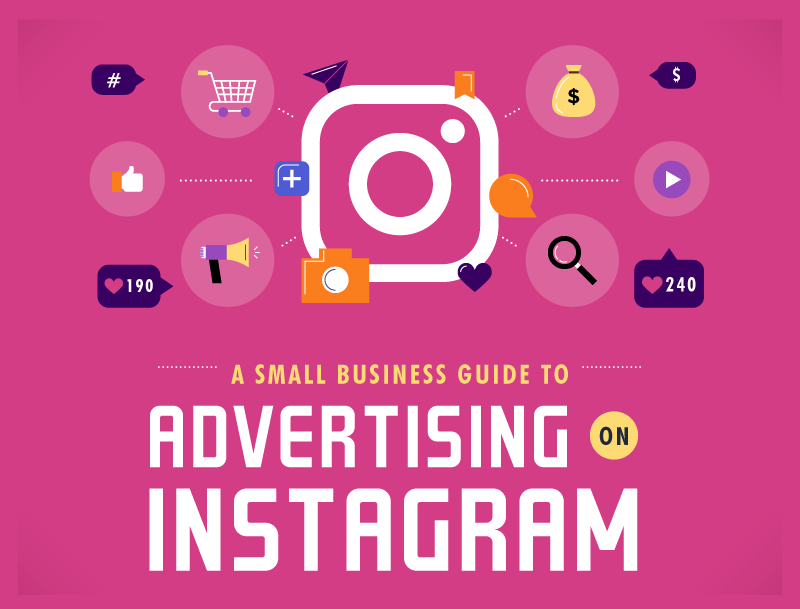 Instagram advertising is one of the major phenomens of online marketing in recent years, and the more success it generates for businesses, the more competition arises for space and attention. Yep: 200 million people use Instagram every day to browser business profiles, with four out of five of them following at least one business. Not that the latter statistic is altogether pertinent, since you can target interested non-followers anyway by utilizing Facebook’s unrivalled demographics data. But it shows the interest is there. In fact, 72% of users have been influenced by an Instagram ad while making a purchase. Even if you’re new to the platform, you probably know that Instagram is a social network based on the sharing of photos. Users’ images tend to be a bit artier and more selective than you’ll find on other platforms, with an emphasis on using filters and the classic square frame (although this is no longer obligatory). Likes and Comments keep it social although sharing is less common; and the company’s stubborn refusal to make it easy to post from a desktop device mean that it’s very much a mobile platform used on the go. In recent years, that square frame was loosened to make landscape or portrait images possible. Video was added, and Snapchat-style ‘Stories.’ And it is possible to make posts of multiple images at once. Instagram’s new sharing formats were supposedly intended to keep users from wandering to other media-sharing networks. In fact, just as important is that the changes have made it possible to create rich, eye-grabbing adverts that slot in neatly to users’ feeds. For purists, pursuit of the perfect square photo remains the ‘game’ of Instagram. For businesses, it’s a great way to connect without demanding too much of your potential customers’ attention. A bold photo demonstrating your service in action or communicating the spirit of your brand will get your name out there and open a dialogue with the Instagram populace. Again not too taxing, a single video adds the seduction of the moving image to your post. You can include a URL so that those who stop to see what happens next are empowered to make the next move. Remember that videos are seen in a user’s feed, and their sound will likely be switched off by default. The carousel is a gamble that pays off if you can get users to swipe past your first image. It’s a collection of photos and/or videos that are most effectively used to tell a story or share step-by-step instructions. But your initial picture needs to be a winner if you’re going to convince scrollers to stop and read on. There’s something strangely old-school about the slideshow. You add a series of automatically-scrolling photos, with music on top. Just like a real slideshow! It’s useful if your customers are known to have older, slower devices or connections, since your images ‘move’ without being as processor-intensive as video. A collection is a medley of photos, videos, and slideshows. One of the advantages of this type is that you can add so-called ‘deep links’ that direct users to specific parts of your website, and track the results of each link. The Experience provokes a special kind of engagement from your audience: they have to interact with your post (a bit like a game) to get its full benefit. It might be a bit much for the casual scroller, but on the other hand if you can design something catchy that bored people want to keep trying, you’re really onto something. These are almost like a classic TV commercial interspersed in the gaps before and after your users’ contacts’ ‘stories’. You can even make good use of sound with these ones since folk often have the volume up when watching their stories. To create your Instagram ad, you need to head to your Facebook Page and navigate through ‘Create’ to ‘Ad.’ It’s a pretty intuitive process. The hard work comes with planning your strategy and designing your ad in the first place. Instagram is a visual medium. A good Instagram ad will be visually compelling and use the minimum necessary text. The visuals will get across the idea of what you’re trying to say, while text should only be used to fill in the details. A good place to put your text is on your call-to-action button. That way, the lone text will guide the eye there and tell your audience exactly what to do. Remember that Instagram users are mostly on mobile devices, so horizontal material (particularly videos) will not optimize the space available to you. Keep it portrait, or as a classic Instagram square. Don’t bury your post in hashtags, but choose three or four that your research has shown to be pertinent to your campaign, and your own unique hashtag for users to pick up on, too. Instagram is built upon simplicity, even if the interface has suffered from ‘feature creep’ over the years. But it’s powered by Facebook’s stunning demographics and analysis, so once you get started it’s easy to improve your results bit-by-bit. Here’s a guide on the steps to take to get your first ad live.